-waves- Well hello. I'm Bridge. I thankfully have a very short list, but If I know you, Hi again. Kaine-HI...I think Isaak and Alexander are the only ones here that are there.. Wait, HI as in Hogwarts International? Or am I wrong? no, you are not wrong. are you familiar with the site, Pandas? Welcome, though I knew you were coming. By the way, Welcome to Masquerade Bridge! Time for one more spam message, but who were you? Nikki? -glomps- Long time, no see! Thanks for the welcome, Pandas, and Isaak. But yeah, you knew I was gonna be here. And I noticed that this is a UK board...going to guess the admins are the sibling duo, aye? Aye, that's right. Em is head admin, and I'm assistant admin. Hi, I'm Bridge! Nice to meet you. -cough- -jabs finger into Evie's arm- .............-grumbles--points at blue name- forgetting someone...?????? But, yeah C: I think I'll like it here. Hey! I'm Hectar off HBH, and most other sites. New people! -glomps- Hi. I'm Bridge Scott, Fairy Boy Extraordinaire. NEWBIESS THAT I MISSED!! HAI!! Hectar! Bro! 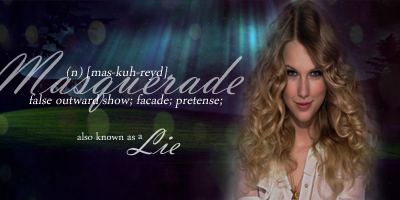 Welcome to Masquerade! It be me, Luke! So... what's your charrie gonna be? MY BRUV!!! *Huggles Luke* Hey! Hi all, I'm Chance Dunway, the extraordinarily ordinary human....or so I say. WHOA! Alex came here! -waves- Hai Alex!